We pride ourselves in selling quality pet foods, healthy treats and fun toys. We also stock plush beds, natural pet shampoos, vitamins and supplements, an assortment of colorful collars and leashes, and much more. Come visit us in the Raley's shopping center in Gardnerville. We are here to help you. Your dog deserves to be healthy and eat healthy. Here at Max's, we think one has a lot to do with the other. We like pet foods that opt to use natural preservatives, specifically named protein sources and are free of by-products, artificial colors, wheat and corn. If you are in the market for an allergy formula, we have a variety of formulas in stock in addition to many other natural, holistic and raw dog and cat foods. 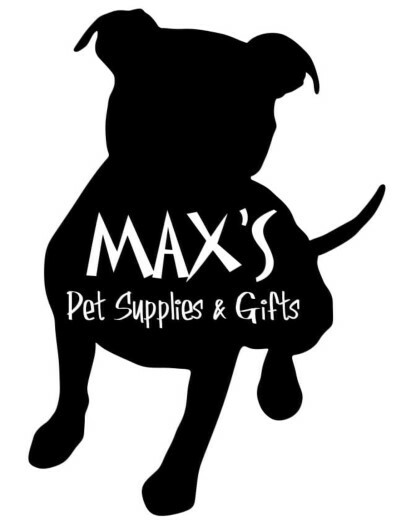 Max's is always happy to special order any high quality product you may not see on our shelf, don't hesitate to ask! Last dog in one hour before closing. Check out our Services page for more on our Self-service Dog Wash!